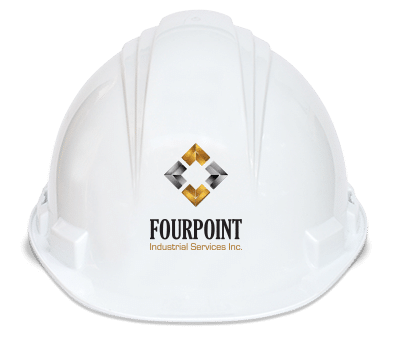 Embracing Safety is a normal and valued behavior forming the basis of our culture here at Fourpoint Industrial Services Inc. The safety culture of our organization and our people is integral to our success; this safety excellence affords us our competitive advantage. To date we have received very positive client and owner feedback and have a stellar safety record which allows us to enjoy less than industry average ratings from WCB where we are partners in industry. Our ongoing goal is Zero Harm to people and the environment as we continue to provide a safe, healthy, productive and viable place of employment for our team and a reliable source of support for our clients. As we continue to grow and develop our Safety program, our passion directs us to remain focused in the reduction of at risk activities and behaviors at work, on the road and at home. We remain responsible and accountable for our actions and continue to work together towards our common safety goals, which include the philosophy of everyone home safe, everyday. Our team at Fourpoint Industrial Services Inc. takes a strong view of the necessity to participate in the planning towards sustainability in our environment. Our efforts are consistent with creating an environmentally friendly workplace for our employees. Initiatives include our office recycling program, light and heat usage monitoring and beverage container donation program in support of community activities. We are striving to reduce our carbon footprint and welcome innovative ideas from our team. To be an industry leader in the provision of foundations installations, including pipe and helical pile as well as civil construction services in western Canada. We achieve success through safety, quality and innovation while delivering exceptional service and value to our clients. Copyright 2017 - Fourpoint Industrial Services Inc.